Dartmoor Accommodation – You're Hired! Founded over 17 years ago, Dartmoor Accommodation features a fantastic selection of over 200 places to stay throughout Dartmoor National Park and beyond, from tranquil campsites to cosy inns, welcoming B&Bs to self-catering holiday cottages and hotels. Now owned and managed by Lisa Jenkins and her partner, the website offers an invaluable holiday-planning tool for visitors to this beautiful part of Devon. We’ve personally visited many of the featured properties, which are the subject of the ever-expanding accommodation reviews section on the site. We don’t take direct bookings but provide people with everything they need to know to make the best choice for their perfect holiday on Dartmoor. We’re not just a holiday accommodation website. Having worked in the tourism industry for many years we appreciate the importance of personal recommendations, local tips and comprehensive information on where to go and what to do on holiday. We also run our own self-catering holiday cottage at Mary Tavy, so we know what makes a great holiday and results in guests returning time and again. 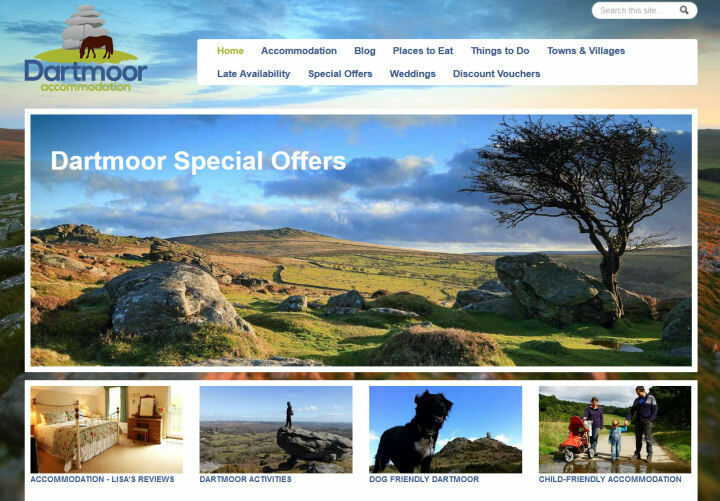 Check out our suggestions for places to eat and find out what’s happening on Dartmoor.